We are committed to supporting residents who live on the Corbett estate and are keen to work with us in creating a better environment for everyone on the estate to benefit from. 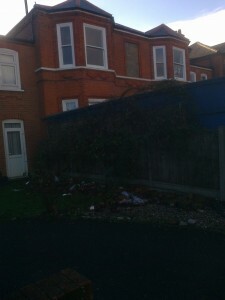 If you see things that are an eyesore or might be against planning regulations such as windows blocked up with breeze blocks as pictured or gardens full of rubbish or with temporary structures as pictured, please let us know and we will make contact with the relevant authorities or social housing landlords. London & Quadrant Housing, who own 20% of the properties on the estate are keen to work with us to ensure their properties are well looked after and maintained. Your Corbett house is a testament to quality. In a mass-produced kind of way. Archibald Corbett had some clever ideas about building houses. Some of them were his own. Mostly he was following the trends of his day. One thing he appeared to be keen on was the standardisation of components. Corbett houses are distinguished by the dimensions of the timbers used in their construction. 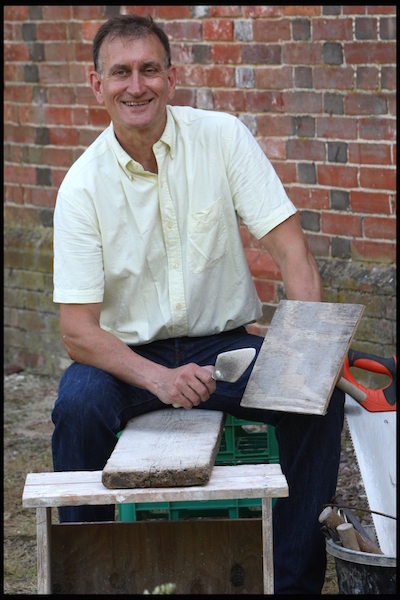 Both top-floor ceiling joists and wall studs are 3 ½ inches by 2 ½ inches, so instead of having two separate sizes of timber, one size could be used for both purposes. I haven’t seen this in other Victorian houses, where top-floor ceiling joists are usually 3 ins x 2 ins and wall studs are 4 ins x 2 ins. Corbett’s ground-floor partition walls are built of timber studwork, with a brick-on-edge infill (a brick-on-edge measuring 3 inches). This makes for great sound-reduction qualities between rooms. However, over time the mortar shrinks, and the bricks can work loose, causing cracking in the plaster. All too often, builders advise that the best remedy is to hack off the plaster, remove the brick infill, and screw plasterboard across the studwork. This affects the acoustic qualities of the house in two ways: firstly, by allowing sound to be transmitted more easily between rooms; secondly, by creating a flat surface that increases echoes and reverberation. Corbett’s first-floor partitions are more conventional, being split timber laths nailed to the timber studs. The weak point in Corbett’s design is that the weight of these substantial partition walls all transfers down to wall plates (horizontal timbers) in the cellar, which are also the ubiquitous 3 ½ x 2 ½ timbers – supported intermittently on brick pillars. Over time, these can sag alarmingly under the loads. None of this would remotely pass the structural calculations required by modern Building Regulations. Fortunately, Corbett houses are able to accommodate quite a lot of movement without cracking, due to the wonderful properties of lime mortar and lime plaster, which I will expand upon next time.